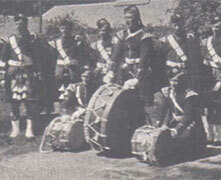 Scottish award winning pipe band re-formed in 2004 by current leaders Stuart Liddell & Steven McWhirter. 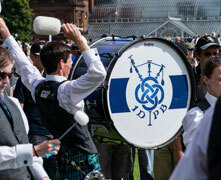 Inveraray & District is focused toward the competitive side of the pipe band movement. 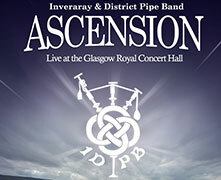 2013 marks the band's debut appearance at the "Pre-Worlds" concert for what is undoubtedly the most prestigious concert of the pipe band calendar. Meet P/M Stuart Liddell, P/S Alasdair Henderson, L/D Steven McWhirter, Manager Jim McMillan and the rest of the band! In 2003, renowned piper Stuart Liddell took up a new position teaching piping in schools in the Mid Argyll area. He had always had a vision that Inveraray might one day have a pipe band again. 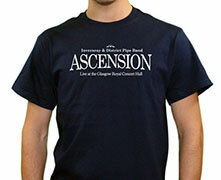 We are proud to offer a range of official band merchandise available to buy online. Please consider supporting the band and enjoy your official IDPB merchandise! The band is pleased to announce a sponsorship deal with Loch Fyne Whiskies from Inveraray. We will also support the whisky shop during some of their events this year. Make sure when you pop in the shop to ask for the special limited Loch Fyne whisky which commemorates our 2017 World Pipe Band Champions win. A good pipe band takes into consideration more than just the music. Looking the part, as well as playing it, is essential when competing. If you sound fantastic but look shabby then that massively impacts on the perception of the band. That’s why we pay strict attention to what we wear.